Visual vagabond – we have seen new vistas through your vast imagination. Shimmering shaman – you have guided us in the darkest, unadorned hours. Priestess of precision – you balance on tip-toe with the weight of the worn world on your shoulders. Maestro of modern mode – we enjoy your symphonic ways. Enigmatic Eve – we catch a fleeting, fluttering glimpse of you, at times. 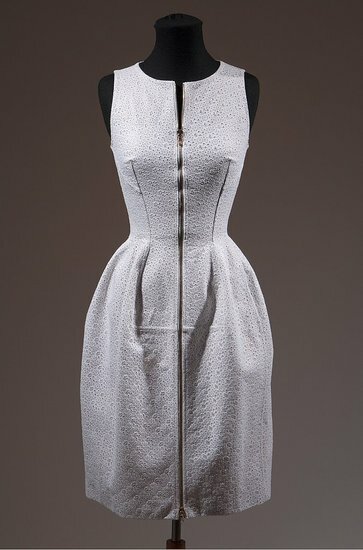 Couture curator, creator – we are drawn into your universe. 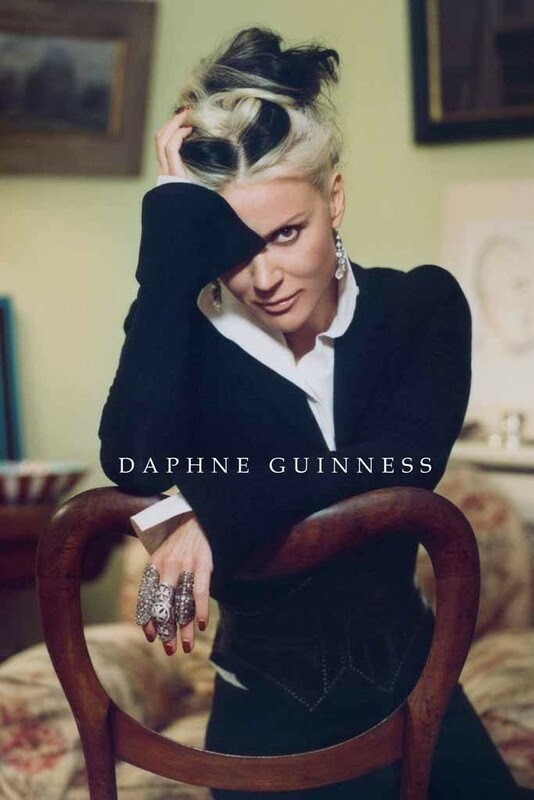 Daphne Guinness, an exhibit featuring approximately one hundred garments and accessories from the private collection of one of the world’s most creative wearers and makers of clothes, opens at The Museum at FIT tomorrow. 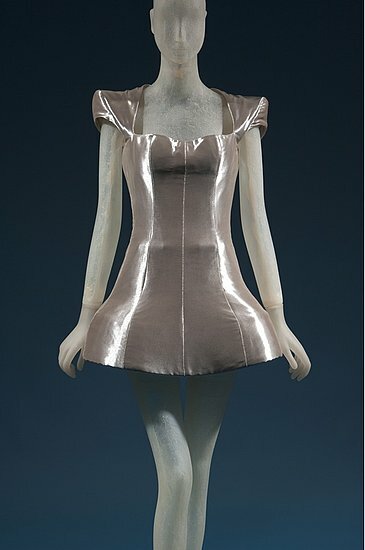 Running until January 7th, 2012, the exhibit will also display images, videos and films of Ms. Guinness. 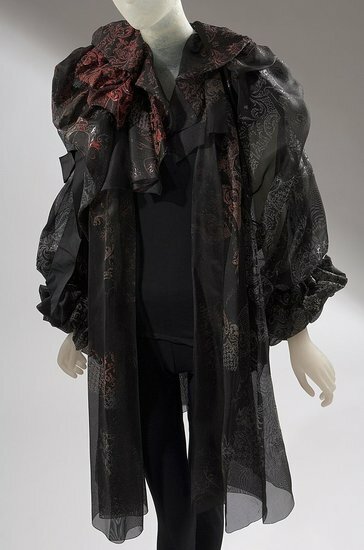 Like the clothes themselves, some of these have been created by her as well. 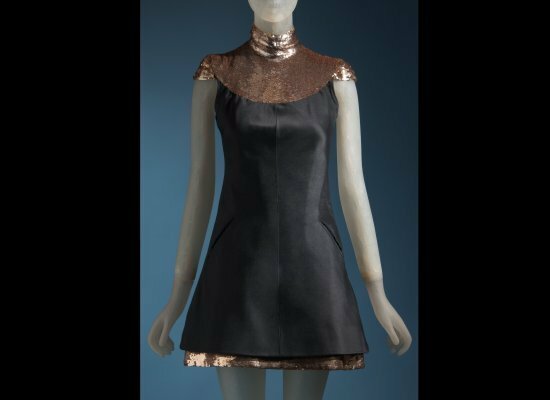 Along with her own designs, items from Chanel, Valentino, Alaia, Givenchy, Lacroix, Dior, Tom Ford, Gareth Pugh – and over two dozen of her dear friend, Alexander McQueen’s pieces, that have never before been on display – will be on view. Her collaboration with metalsmith and jeweler extraordinaire, Shaun Leane, as well as hats by Philip Treacy and alas – the shoes we are all in awe of – will surely be draws for both the curious and the serious, among us. 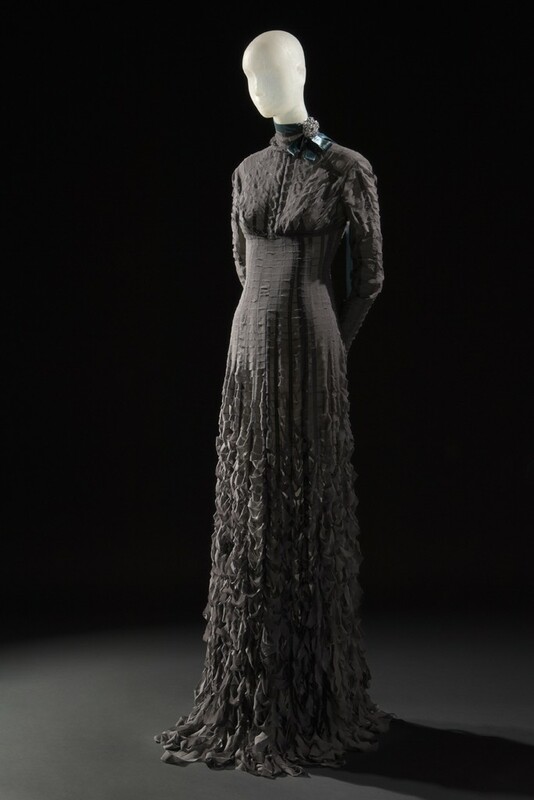 The exhibition is co-curated by Daphne Guinness and The Museum at FIT’s director and chief curator, Valerie Steele. Here is a preview of some of the items that will be on display. Top marks to FIT for this initiative! Photo of Ms. Guinness by René Habermacher. 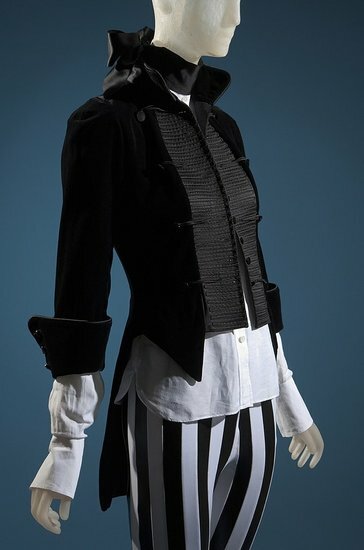 A jacket and shirt ensemble designed by Daphne, is paired with punk shop tights. Perfect. She has an eye for Alaia eyelets. 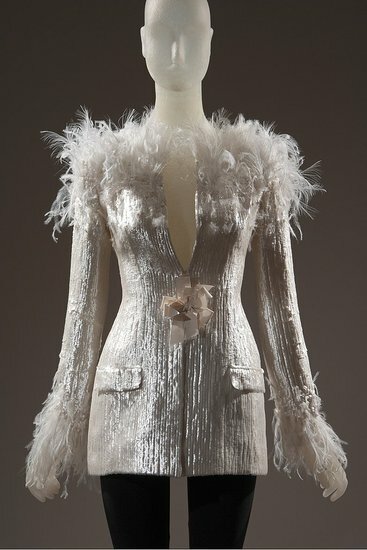 I can see her in this frothy Chanel couture jacket – with a raised eyebrow to match. Natch. 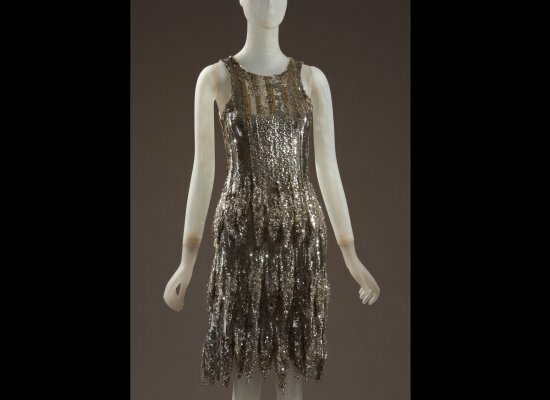 A shimmering Chanel – flaptastic. 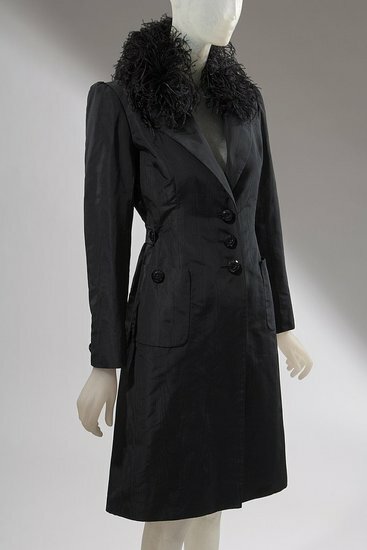 She has an equal affection for tailoring and frou. A fine balance. No couture collection could be complete without Monsieur Lacroix! The weight of that worn world will be carried well on Balmain-ed shoulders. A demure shift from Chanel. Subtle elegance. One of many McQueens in the show. 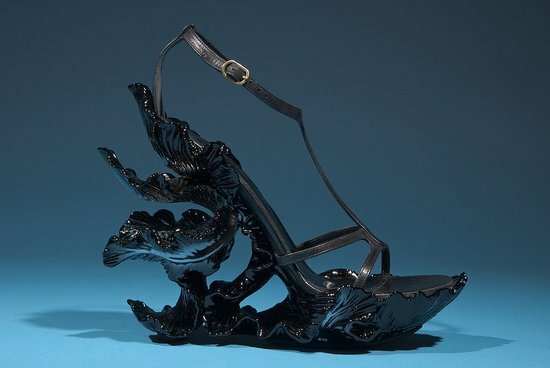 The McQueen dreams shoe. I dreamt of it. Did you? Together, Lee and Daphne stood so tall. Sadly, she wore these to his memorial. 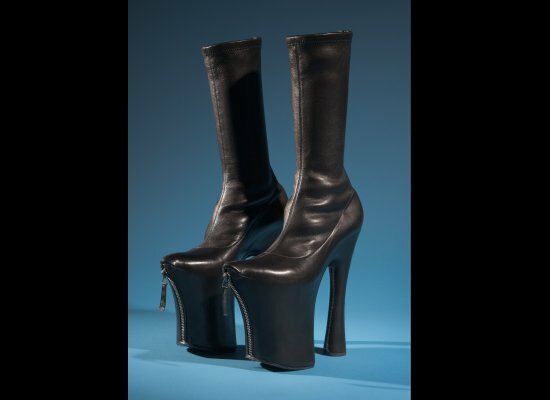 McQueen’s weapons of mass adoration. Daphne Guinness with Phillip Treacy at The White Fairy Tale Love Ball in a McQueen Gown. Photo: PacificCoastNews.com. Red or dead. Heightened consciousness, to be sure. 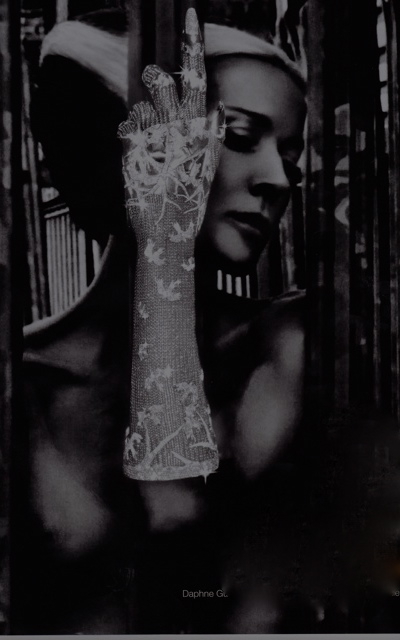 Wearing The Glove by Shaun Leane in a photo by Nick Knight – with whom she collaborated for this exhibition. Of course, the ex will have an accompanying book. Cover photo by Kevin Davies. Ms. G getting into her work – preparing for the show, a few weeks ago. See her in the McQueen zippered platforms at his memorial, here. Images, unless otherwise noted, are all courtesy of the Museum at FIT.